Discussion in 'Star Wars: The Rise of Skywalker' started by SWNN Probe, Feb 23, 2019. 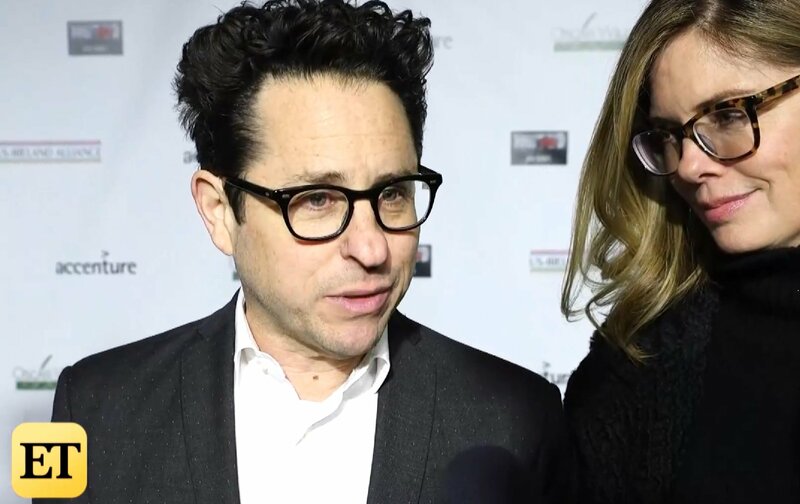 ET Online's Ash Crossan managed to speak with director JJ Abrams and ask him a few questions about Episode IX, which wrapped filming just a week ago. As expected Abrams remained tight lipped and didn't reveal any details about the closing chapter of the sequel trilogy, but still he briefly touched on what it was like filming with Billy Dee Williams, whether the mixed reactions to The Last Jedi affected his movie, and what are his hopes for the fans reaction after his movie is released. You have to determine that yourself. I really can't wait you to see it. There are a lot of words that we hope you will feel. Obviously the biggest and most important one I think is satisfied! This is definitely the best answer every fan could hope for. Of course satisfaction is very subjective, but I am sure the cast and crew will do their best to close this chapter of the Saga the best way possible. At least we can only hope. So what do you think? How do you want Episode IX to end and make you satisfied as a fan? Tell us in the comments below. Episode IX won't and shouldn't try to please everyone. Go with that what you got and make the best out of it. For my part I'm sure that I will enjoy EPIX. So far I liked all JJ Abrams movies. They're usually a lot of fun. Episode IX might end up being the best Star Wars movie since Empire. He's also had a lot of time to think of the story, and Disney may have given him more freedom as they probably begged him to come back. And there are a ton of things they can do story-wise to make this interesting, seeing as the predictable elements such as Snoke and Luke's death are out of the picture now. Rian broke the formula.. and we don't know what's going to happen next. I respect Rian for moving the story forward, despite my thoughts on TLJ as a film. I truly believe JJ can do this. Wouldn't be shocked if one of the ideas that's been in place from the early days of planning this trilogy was Delight-Surprise-Satisfy. Whether you like the last two episodes or not they definitely hit those marks with most of their audience and so I'm pretty confident they'll achieve the same with this film at the very least. I think JJ has an excellent grasp of the fandom of movies of this genre. I trust he is going to deliver. I don't forsee people being "satisfied" with this movie but I do suspect there will be less acrimony following it's release. With such a wide spectrum of things that people would have liked to have seen, he only has the length of a feature movie to wrap up this trilogy and the 2 before it. Not a lot of bandwidth. What JJ and RJ accomplished is a bit of a miracle so far. It's the first time since the early 80s that Lucasfilm put out 3 Star Wars films in 3 years that were loved by critics and audiences. Solo was a bit of a dud compared to the other three, but it was still a more competent piece of film-making that what we saw in the sequels. All that said I'm sure JJ will make something that's entertaining. I do fear though that losing Fisher hurt this saga. She was going to be a bigger part of this last film and now they're shoehorning her into it using old footage. I'm sure it'll be fine, but it wasn't the plan. RJ left things pretty wide open so JJ could pretty much tell any story he wanted and I'm sure there was a loose plan about how this all ends. I still have some nitpicking things about some of the decisions made in this saga, but I'm happy with how it's turned out so far. I'm still way more excited about what's coming next. I'm ready to move past all of this and on to something different. I hope to be satisfied to JJ. Give us a trilogy finale to remember. Have an good feeling about this ..
a) As you say, please give us thrilling moments to remember, like the showdown with Darth Maul in TPM, Rogue One's Battle of Scarif, the Death Star ending in the New Hope, the Emperor's room showdown in Return of the Jedi, the bridge moment in TFA, Snoke's Throne room battle, and even Holdo's Moment in TLJ. I would also include Luke's final showdown in TLJ, there sure are great moments in TLJ. b) I hope JJ doesn't copy scenes or use too much of what we have already seen in the saga (e.g. similar plot of TFA to ANH or another Death Star, to give two examples); we need the world to feel like Star Wars, sure, but give us new things, we need surprises. And finally, but not least importantly, c) please give us more to enjoy and look for during the entire movie, to help keep us engaged during the entire ride, and to want to come back for more, and not just resort to the thrilling moments referred by point a). I think TLJ has great moments but suffers from several dull, or let's say, less interesting parts which in the end provides a thrilling but not very satisfying experience, in my view. I'm confident JJ can and will probably deliver on a) and c), but I worry a bit on b). In any case, really looking forward to IX, and to what lies beyond. JJ's comment seems a bit tautologous to me. I mean, is JJ going to say, "I hope people come out of this film feeling disappointed and angry"? I think there might actually be some directors who would make a statement like that, but those directors aren't getting hired for Star Wars. I really thought he nailed the tone in TFA. He has a good grasp on what makes Star Wars what it is, in my opinion. Will I like every single little thing about IX? Probably not. I've got a good feeling though that, overall, it will be a solid film and worthy addition to the SW universe. JJ Abrams is a safe choice - and I say that as someone who likes his movies and his style very much. I am looking forward to his saga finale. Well, speaking before previews and even a title, I have to say I'm much more curious than I am excited to see this movie. I have faith that at least JJ will hit the tone right and it'll be a solid popcorn movie. That's not going to happen. Ever since people wanted Reylo to take precedence over the relationship between Rey and Finn, the audience became divided. Ever since some wanted to push the idea of redemption, the audience became divided. This was done deliberately, so what does anyone expect? The average movie goer doesn't go to Star Wars websites. They only watch the movies. Too much change from story to story caused people to lose faith, and brings Lucas films credibility into question. Right now Lucas films is the girl or boy that cheated and got caught. They have a lot to prove. without adding the above words bro.. your post just sounds like your bashing movies that an incredible amount of members on this site absolutely love. we're here to share opinions.. positive OR negative, but whatever we think of the movies.. they are just opinions. in my opinion.. the last 4 star wars movies made by LF have been amazing and i want them to continue doing exactly what they have done so far. back on topic - I couldn't care less if JJ manages to 'satisfy' the fans. I hope that he's made the movie he wanted to make, and that he poured as much love into it as he did with TFA. You are ignoring the crime, and trying to find someone else to blame. This is only going to hurt you, so go ahead. TFA was deliberately ignored, so whatever Lucas films is going through, they deserve it. Lucas films has to prove that they are capable, and that's a good thing. Money doesn't matter here. Only your ability to tell great stories. Either you can or you can't, and we'll find out what they are made of.